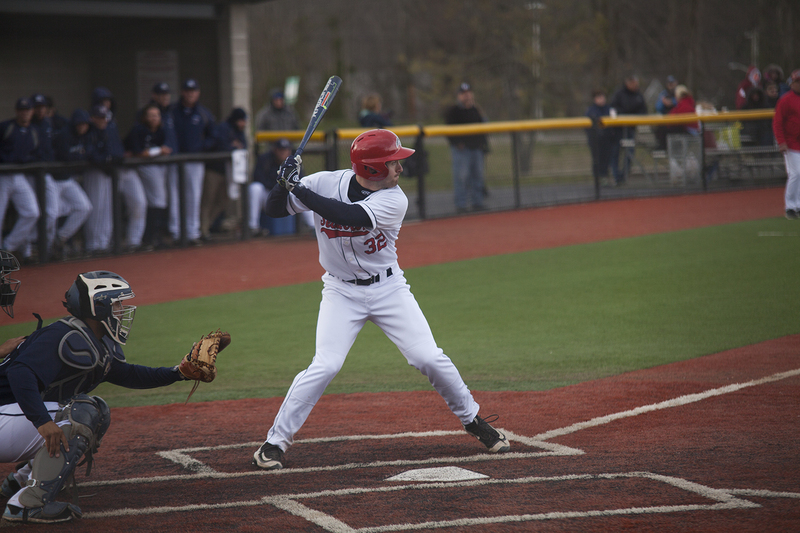 The Stony Brook baseball team returned home Tuesday following a road-trip in Florida to open an eight-game homestand against the Manhattan Jaspers. Locked in a pitching duel early, the Seawolves managed to do enough damage to the Jasper bullpen to win 4-3 for their seventh victory of the season. The Seawolves pulled away in the bottom of the sixth inning when sophomore infielder Nick Grande worked a six-pitch walk to start the inning. Grande stole second base one batter later and stole third base before junior infielder Michael Russell struck out. Junior infielder Brandon Alamo worked a second walk in the inning, and both runners were driven home by a double off the bat of junior outfielder Dylan Resk. Stony Brook took the early lead in the fourth inning when Manhattan graduate starter Matt Simonetti exited the game. Senior left-hander Steve Arntsen relieved Simonetti and immediately allowed Grande and senior infielder Bobby Honeyman to reach base via a walk and hit-by-pitch respectively. Grande and Honeyman would each steal a base to get into scoring position, setting up Alamo to drive them home on a one-out single to center field. The two-run single doubled Alamo’s RBI total on the season from two to four. The 2-0 lead wouldn’t last long for the Seawolves. Senior starter Kevin Kernan cruised through the first four innings, allowing just one hit while striking out three. However, he was pulled after throwing just 60 pitches due to already throwing an inning and a third out of the bullpen over the weekend, limiting his outing on Tuesday. Freshman right-hander Nick Insognia relieved Kernan in the fifth and got into a jam early. Insognia allowed a one-out double to left field, then two batters later, walked Manhattan sophomore infielder Alex Cerda on six pitches. Insognia then threw a ball that freshman outfielder Matt Morgan drove to the wall in left. Resk managed to get a glove on the ball, but he collided with the wall and the ball dropped free, allowing both runners to score. The Jaspers took a 3-2 lead in the sixth, thanks to a questionable call. Insognia recorded the first two outs of the inning before walking graduate infielder Matt Forlow on six pitches. Insognia bounced back by striking out junior infielder Richie Barrella, but the ball was dropped and thrown to first base to complete the strikeout. The umpire at first base ruled that the throw pulled Alamo off the bag, and kept the inning alive. Manhattan capitalized, as freshman catcher Matt Padre drove a ball to left field for a double. Forlow scored, and Manhattan took their only lead of the game. Senior right-hander Aaron Pinto came on to get the final out of the eighth inning, before closing the door on the Jaspers in the ninth for his fifth save of the season. The Seawolves have now won their last 11 home openers, dating back to 2008. Stony Brook will continue their home stand on March 10 and 11 against the Wagner Seahawks, including a doubleheader on Saturday.